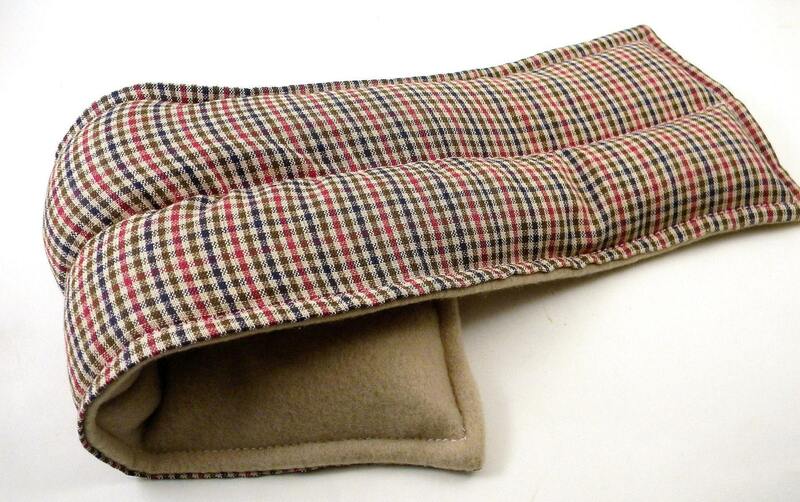 Microwave Neck Wrap is a heating pad or cold pack. Great gift for men, dad or grandpa (women love it too!) 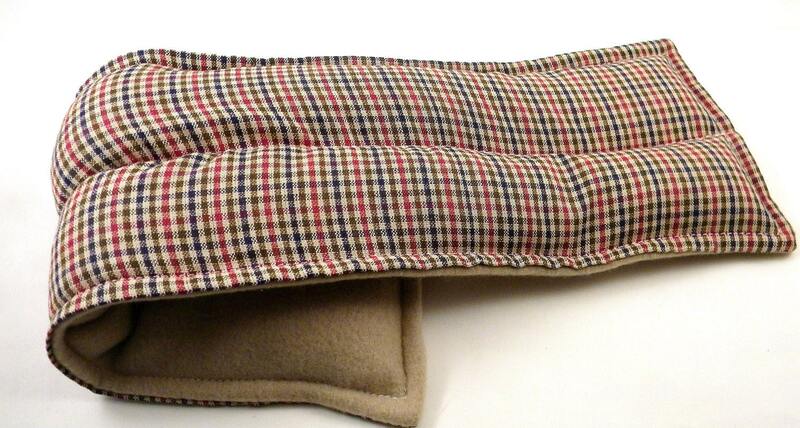 Warm in the microwave for a soothing neck wrap or store in the freezer to use as a cold pack. 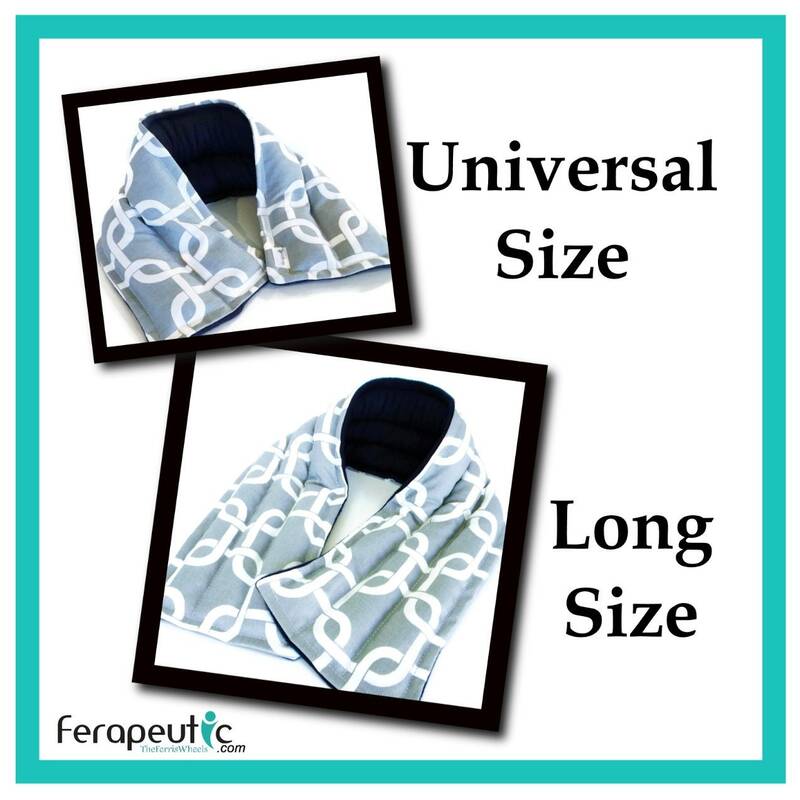 Wrap offered in two sizes. To see size comparisons and fabric chart, please swipe or scroll through photos. Microwave heating pad provides moist heat for relaxation. 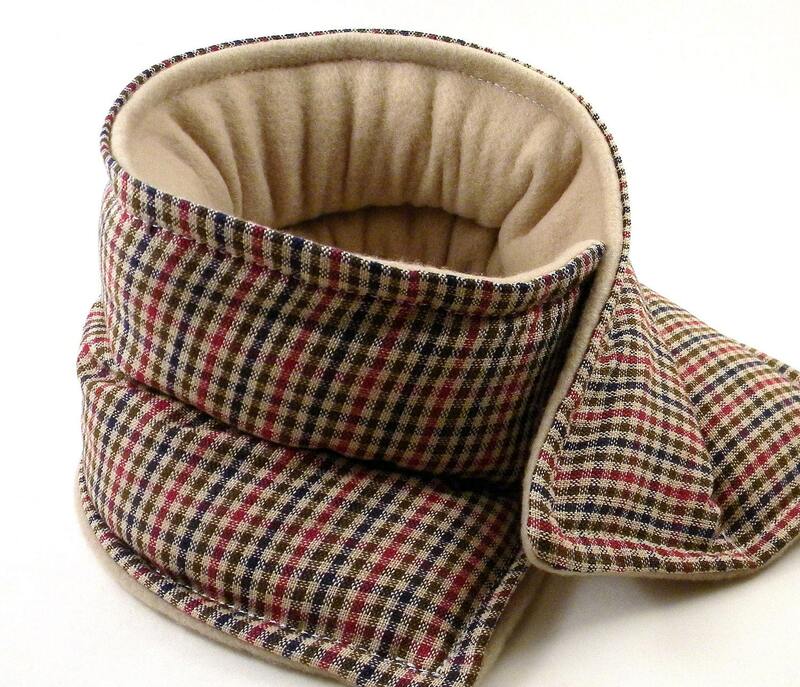 Neck Wrap is made with 100% cotton fabric on one side and thick comfy fleece on the other. Double stitched for durability and style and filled with all natural flax seed and rice. We package all our microwave heat pads and cold packs professionally in cello bags and label with detailed directions.